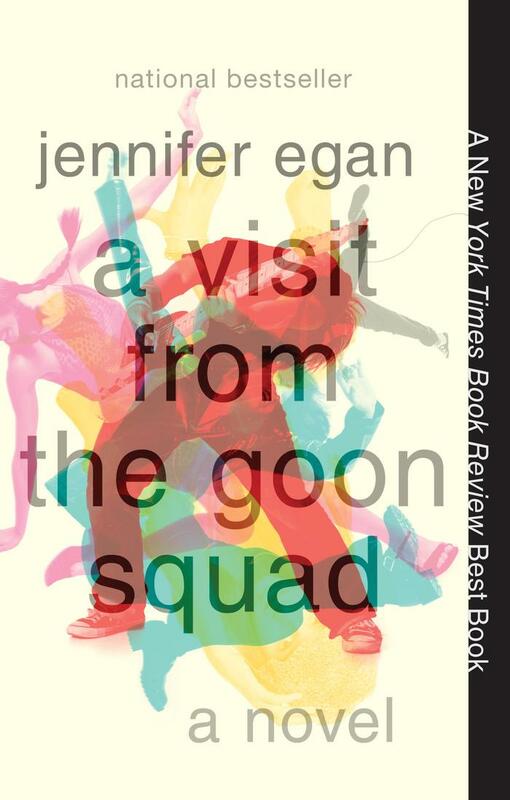 Jennifer Egan's Pulitzer Prize-winning book "A Visit from the Goon Squad" reads like a book of...not exactly short stories, because they are all interconnected...but more like a series of vignettes that give the reader a glimpse of modern-day life in the music industry. Each chapter is set in a different period of time and focuses on a different character, complete with a new point of view and a new personal drama, which Egan somehow manages to link to previous and subsequent chapters. Waiting for the connection to be made is one of the best parts of the reading experience. In an interview, Egan compared the novel to a music album, thirteen "tracks" (chapters) that all come together to make an impressive whole. This book is full of unforgettable, and imperfect characters. The mistakes and failures of their youth, account for their problematic adult behavior. The story development throughout the book, while confusing at times, leaves you with that small world feeling - how everyone seems to be related to each other in some way. The theme of this book is hard to pin down, but overall I believe that it demonstrates the impact of the passage of time and how life will inevitably take a detour, so that you may not end up where you thought you would. A smart, funny, and very unique (there is an entire chapter done in Power Point!) book that I could not put down. I would say this is a must-read for anyone who enjoys quirky reads, but most especially for music fans as most of it is set in the music industry.